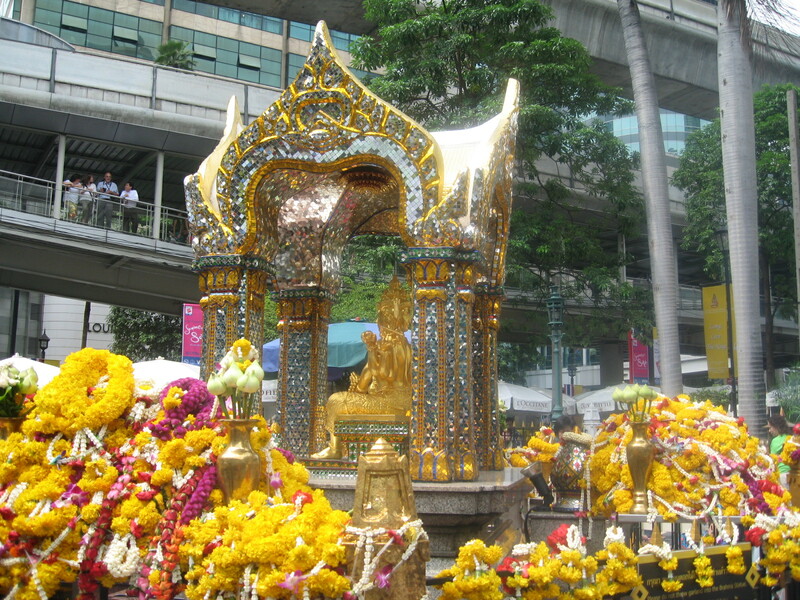 Say a prayer to Phra Phrom at Erawan Shrine (Thao Mahaprom Shrine), a small but popular Hindu shrine. 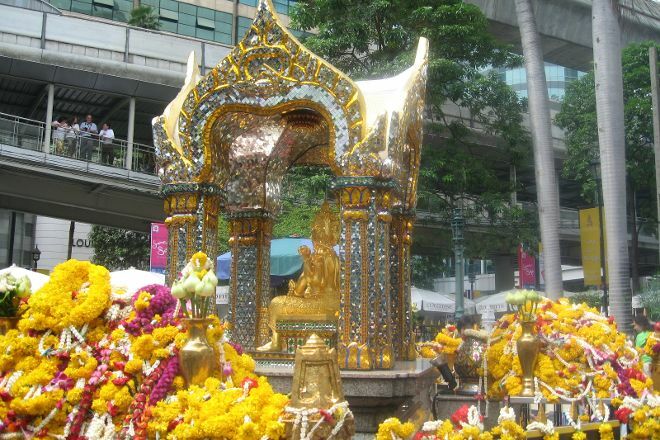 Visitors who stop here often light incense, make an offering of fruit or flowers, and admire the traditional Thai dancers, paid for by supplicants hoping to have their prayers answered. At the heart of the shrine sits a golden statue of Phra Phrom, the four-faced Thai representation of the Hindu god of creation, Lord Brahma. It is a popular tourist destination and is generally safe, however, in 2015 a bomb went off near the shrine, killing 20 people. Plan my Bangkok trip by asking Inpirock to come up with tips and suggestions.